To avoid the catching of the opponent's lines the protruding parts of the helmet must be covered. No communication using electronic devices is allowed between the pilot and mechanics/persons outside the flying circle. Engines with glow plug ignition shall have their exhaust port(s) connected to silencer(s) (one or two), consisting of a simple chamber with one circular cross-section rearmost outlet aperture of 6 mm (1) or 4,2 mm (2) diameter(s) opposing the exhaust port connection. The minimum total volume of the exhaust system shall be 12,5 cm3. In the case of two exhausts, each silencer shall have a minimum volume of 6 cm3. The maximum total length of the exhaust system from exhaust port(s) of the cylinder to and including outlet(s) is 15 cm. One pressure tap directly connected to the fuel tank, of maximum diameter 2 mm, is allowed. No other openings or vents are allowed. A safety wire with a minimum diameter of 0,5 mm must be attached between the control system and the engine(s). The engine(s) must always stay connected to the lines. Only the streamer/string may be moved around the circle by the mechanics/pilot. Models in the pitting area may not be moved, except to open a safe distance (approximately 5 metres) away from the opponent's mechanics. Unless otherwise directed by the judges, it is the rearmost team's responsibility to move back before pitting. Under conditions of heavy wind, the Judges can allow models with a non-running engine to be moved to a safer starting position. The Circle Marshal will monitor the conduct of both pilots, and shall issue a yellow card warning to any pilot who uses a rough or unsafe flying style, causes line tangles, or displays unsportsmanlike behavior. Each yellow card issued (a maximum of three for each pilot, per competition) shall be efficially recorded and retained for the remainder of the competition. Initial and subsequent offences during a competition are to be penalized in accordance with 4.4.12.A and 4.4.12.C, respectively. If the first yellow card incident is considered severe, the pilot shall also be disqualified for this offence. The Circle Marshal shall signal both pilots to fly leveland anti-clockwise and to cease combat when both streamer strings have been cut. If one pilot has only string remaining he may request the circle marshal instruct both pilots to fly level and anti-clockwise and to cease combat. Scoring shall start at the signal to launch and continue during the heat. Each penalty point given (See 4.4.12) shall be subtracted from the competitor's score. if he deliberately attacks the streamer of his opponent's model aircraft prior to the Circle Marshal's signal to start combat. This Guide is intended as an aid for Judges/Circle Marshals, Officials and Organisers as well as Competitors of how to interpret, understand and use the Sporting Code Rules concerning F2D Combat. Most of the content in this guide could also be used for class F2E. Measurement of the venturi inlet diameter using the simple plug gauge. Measurement of the silencer outlet diameter using the simple plug gauge. Measurement of the silencer volume by filling with an appropriate liquid (oil or other). Measurement of the silencer length. Measurement of the swept volume of the motor(s) (random check). Inspection of the silencer's internal compartment to determine if it is truly "simple", i.e. it is an empty container with no internal components and a single exhaust opening. Pull test of the safety strap and safety wire and inspection of its implementation. Inspection of a working shut-off. Inspection of the streamer retaining device. Check the wing area and model weight. Check that the model is marked with FAI License Number (Minimum size specified in the General Section of Sporting Code) and FAI sticker and check that the Model Specification Card (One per model type) is filled in, signed and stamped. Mark the models and engines and record the number of models and engines. Note: Although checked at processing this is not a certificate that a competitor's equipment can't be a source of disqualification in the competition. Circles are best marked using white paint or chalk but also plastic strip can be used. In the case of using plastic strip the organiser must make sure it is laid out and fastened in such a way as not to cause a trip hazard to pilots or mechanics. Plastic strip should be avoided when marking the pilot circle. Contest must at all times stay behind the safety fences or at the allotted places. 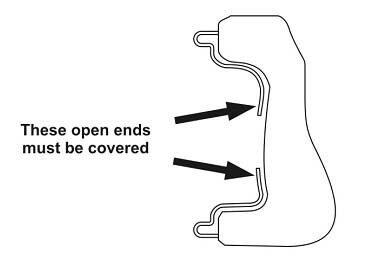 b) All handle and line connections should be covered in such a way not to interfere with the opponent's lines but not longer than necessary to cover the connectors. More than one connector per line at the handle and at the model aircraft is not permitted. Note that open connection connectors are not allowed (see sketch). Pilots using this type of handle must tape the handle before the heat. f) There must always be a wire connection between the engines and the lines. All parts of the opponent's streamer/string should be cleared from your own streamer/string before relaunching. h, i) At take-off and before the signal to start combat the models should fly level in an anti-clockwise direction. The competitors are not allowed to do any loops or other manoeuvres unless asked to by the Circle Marshal in order to separate the models. Take-off should take place in level flight forward, not upwards or backwards. Any break of these rules will result in a disqualification. k) In conditions of heavy wind, a grounded model which does not have a running engine may be moved to a safer launching position under supervision by the Judges. While doing this, the mechanics are not allowed to carry the model aircraft and lines over an opponent's grounded model aircraft and/or pitting crew. Parts of a crashed model aircraft are not considered a grounded model aircraft. c) The scorer's times should be rounded to the nearest whole second and then added together. The added result should be divided by the number of scorers, and then rounded to the nearest whole second. This result should be the competitor's official time in the heat. If any scorer's time shows a significant deviation from the average, it should be excluded (but still noted on the score sheet). The scorers must be observant and stop their watches if there is a fly-away of the model they are scoring. a) No penalties should be given to the pilot if he is pushed out of the circle. Instead his opponent should receive a yellow card or be disqualified (4.4.12.C.e) unless the Circle Marshal consider it an accidental incident where neither of the pilots can be blamed. b) In order to reach a grounded model the mechanics are not allowed to cut across the flying or pitting circle (See sketch). 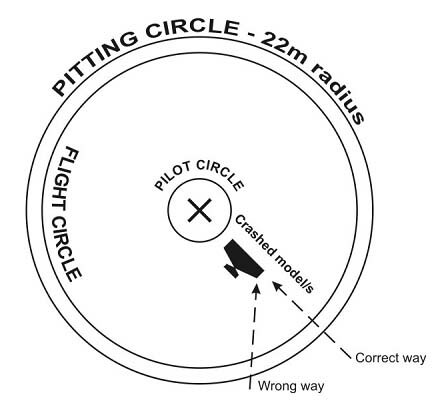 If a model is crashed close to the centre circle it is especially important for the mechanic(s) to be observant at what point to enter the circles. A penalty should be given if, for example, the pilot picks up the crashed model on one side of the centre circle and brings it out on the opposite side of the circle. 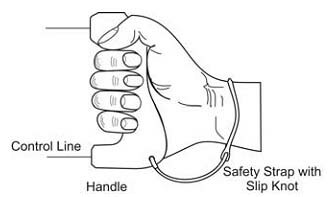 u) For example such as tampering with the streamer (putting water, saliva or fuel on the string before tying the loop, additional single knots on the string wherever, cause damage or weak spots on the string by pulling with the teeth, pliers or scissors , soaking the paper with fuel, pre-cut, the paper, etc). This rule can also be used to disqualify a competitor due any other breach of the rules that is not covered in a separate paragraph. i) Do a fly-off following the rules in 4.4.14.h. a) It is of most importance that the Judges have a good understanding of the rules and that they have a common language as this will reduce delays and possible errors. The Circle Marshal has the main responsibility for the centre circle and the pilots and their behaviour although all Judges have the right to give penalties. Penalties can always be given after a heat where the Judges/Circle Marshal have had a chance to discuss situations that occurred in the heat. In case of three Judges one should be assigned to each pilot and his mechanic(s) while the third Judge will have an overall function. The Judges must work together and watch any models landing/crashing close to them.